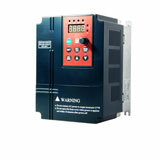 DC Brake function is most commonly used to hold the motor in stand still position. Will not truly lock the rotor thus cannot replace for example mechanical brake in lifting applications. In horizontal movement it is often good enough for holding the mechanical system still for short period of time. Pls keep in mind the induction motor without forced cooling will heat up. DC injection braking, which might be a better term for DC brake, can be done by chopping basically the half cycle, or if you can the DC bus, one polarity (DC) on one or 2 phases to the third. The voltage is going to be relatively low compared to rated voltage depending on torque you are looking for (and current rating of the modules). From memory, I think we are talking 1/4 or less voltage to keep the current down. (I don't commonly calculate that any more). You need to worry about the motor and the modules. The value of DC injection braking, as a means of braking, is questionable but maybe you have good reason for wanting it. Keep in mind it is NOT a holding brake. Torque decreases with speed. Initial current is high. Depending on duty cycle be careful using one phase because uneven heating in the motor, especially if you can drive the current wel above rated. Probably the advantage is that I don't think the DC bus is pumped up like it is if you simply decelerate by lowering the frequency. One way you dump heat energy into the motor and the other into a braking resistor or regen it back to the grid. But at the same time you have limited torque for the device current available, either way I guess. This would be a good calculation study for someone to determine which is more effective for a given current. I think you might get more torque decelerating. There is also the possibility of regenerative breaking to the DC bridge of the inverter and using a break resistor to brake the motor. This is possible with an inverter that has brake resistor connections (brake chopper circuit). 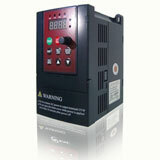 These are to be used if the DC brake is not sufficient to stop the load for example in an e-stop situation. Is there an easy way to figure cost of VFD?